LongHouse Reserve founder Jack Lenor Larsen was born and raised in the Pacific Northwest. Having grown up surrounded by green landscapes on a year-round basis, he observed during his first winters on the east end how grey the landscape was due to the bare deciduous oaks, beeches, and dogwoods. This led to the subsequent planting of hundreds of different conifer species, from remarkable Hemlock hedges to towering Cryptomeria. Now 40 years later, LongHouse Reserve has one of the most complete conifer collections on eastern Long Island. 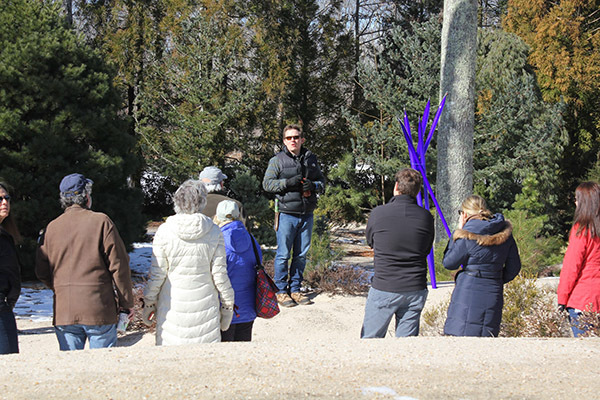 Bundle up and join Alex Feleppa, staff Horticulturist and certified Arborist, for an informative winter tour as our conifers and broadleaf evergreens take center stage.